A blood film has been made from the following patient with the clinical details ‘SOB’. This is the first time you have seen the patient in your hospital. How do you report the film? Who else should you inform of the admission? 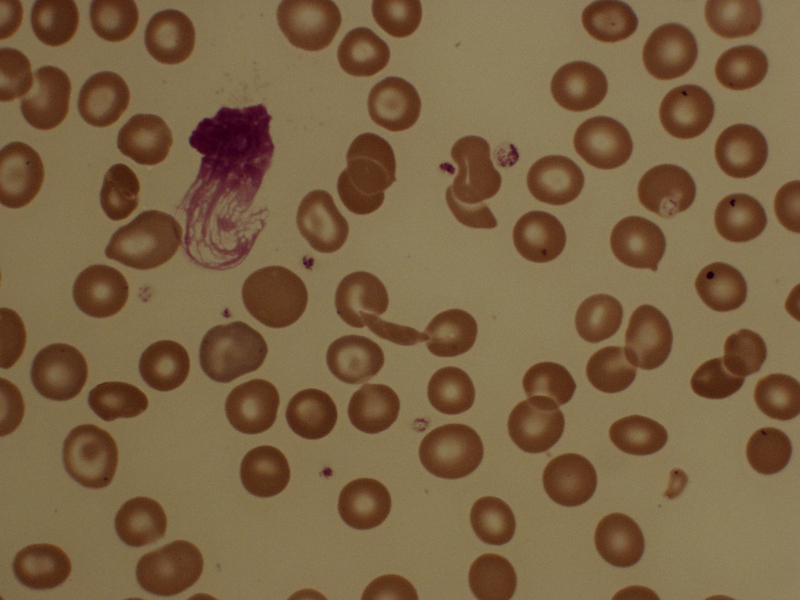 This entry was posted in Anaemia, Haemoglobinopathy, Laboratory morphology and tagged Blood film, sickle cell disease. Bookmark the permalink.